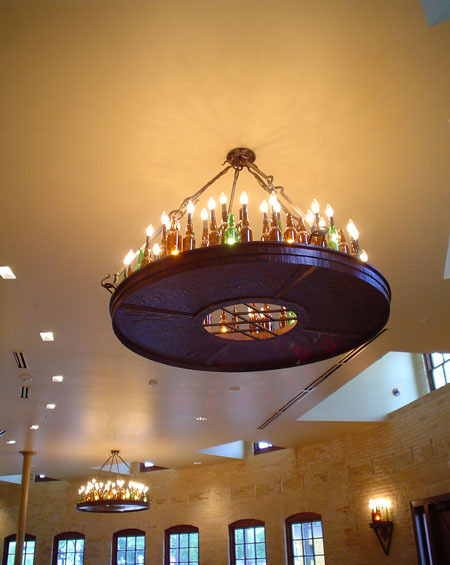 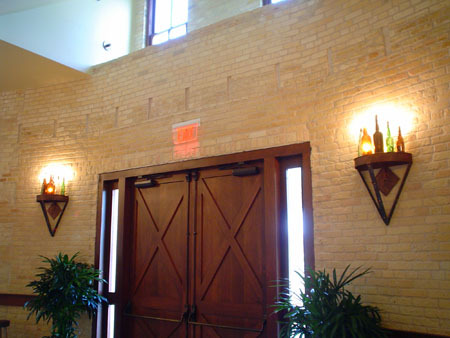 A whimsical chandelier made from brewery beer bottles and candelabras sets a fun but elegant tone for the main hall of the Pearl Brewery in San Antonio Texas. 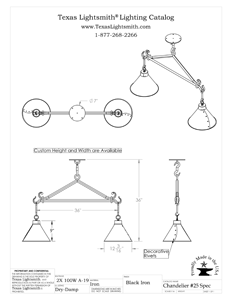 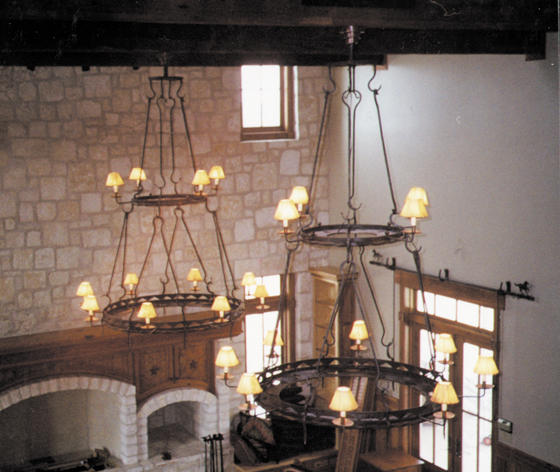 Clean lines and interesting angles give this custom chandelier a defined look. 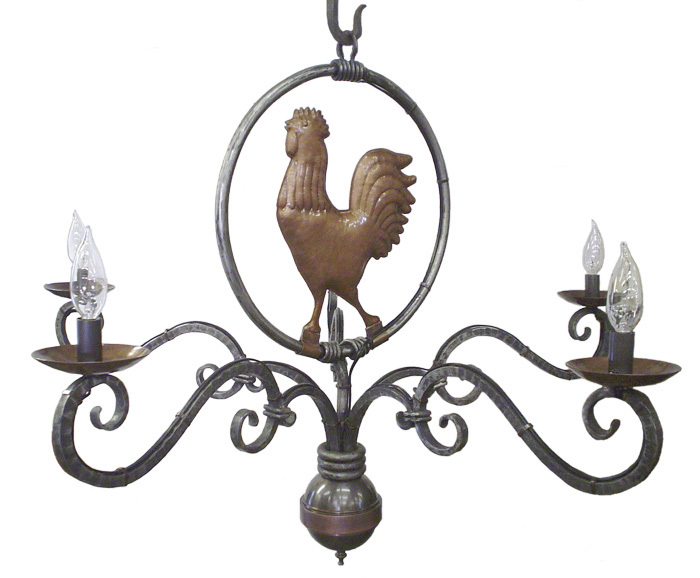 Another great choice for an outdoor chandelier. 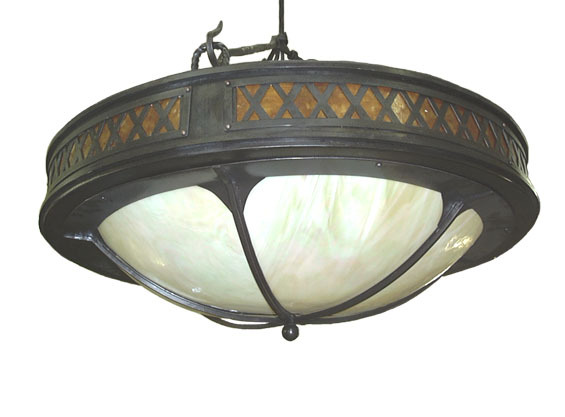 Glass and copper with forged steel create a classic look. 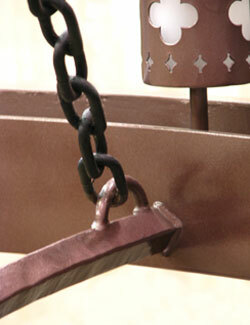 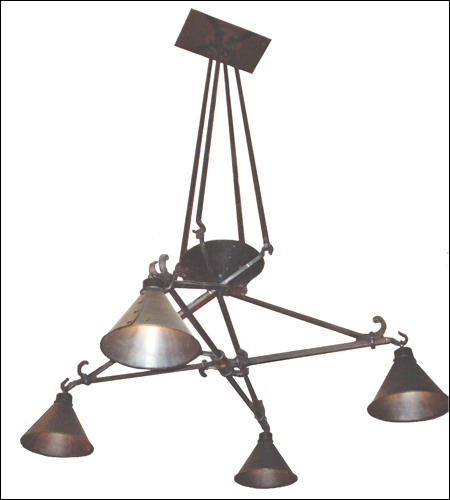 Rustic chandelier made in rusted steel with rawhide diffuser. 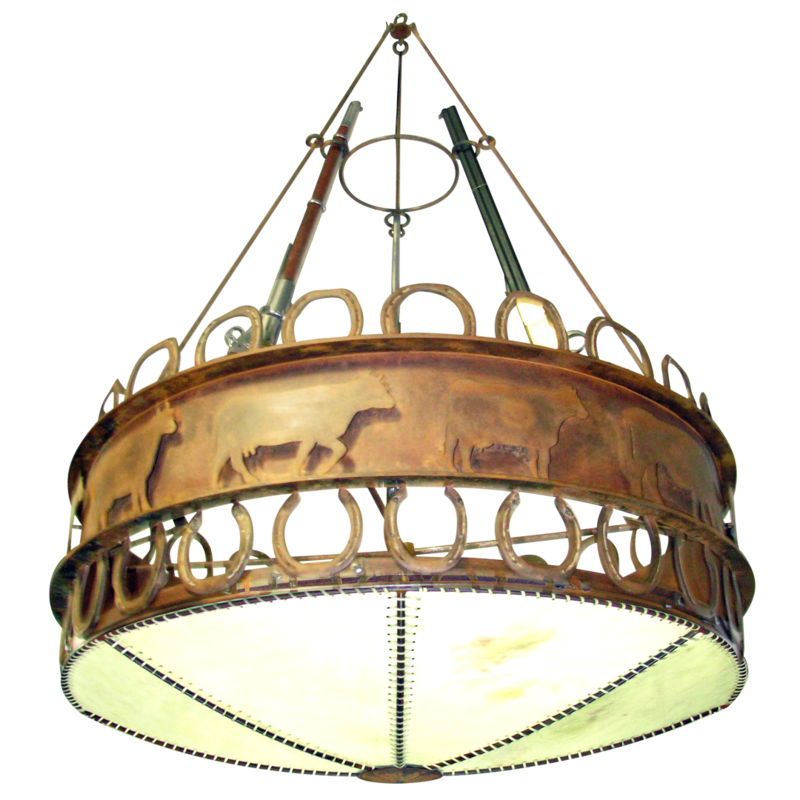 This chandelier features cattle drive cutouts, horseshoes and antique rifles. 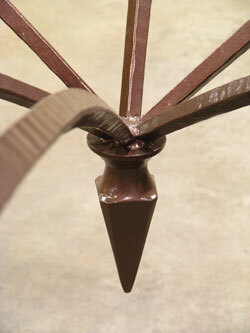 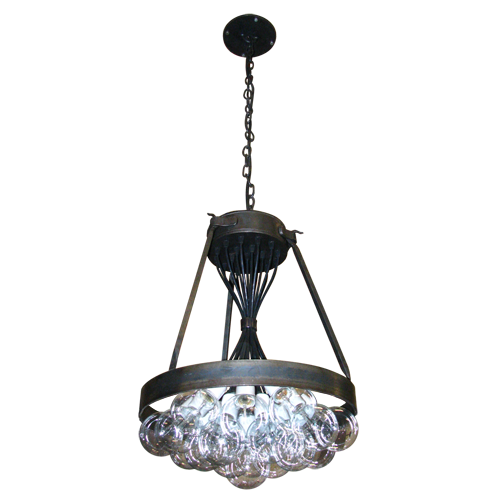 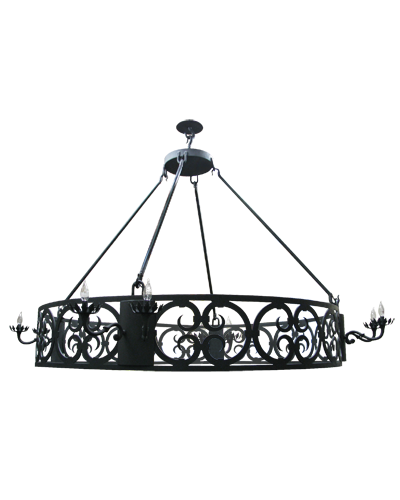 Chandelier 5733 is made of steel with a black matte finish. 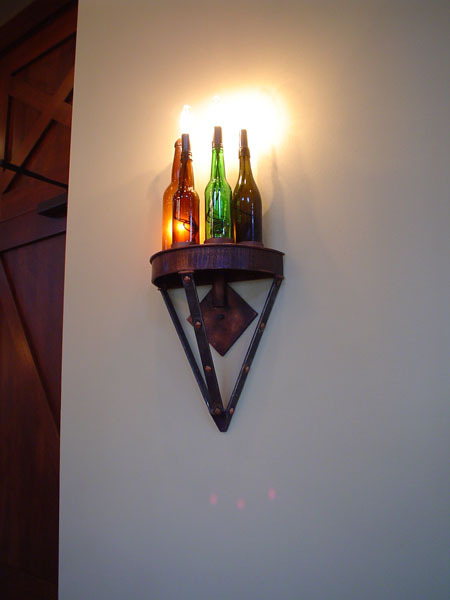 A touch of rustic with modern charm. 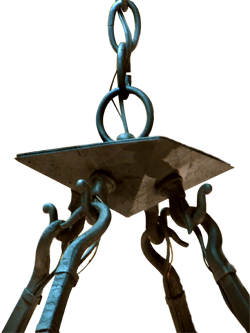 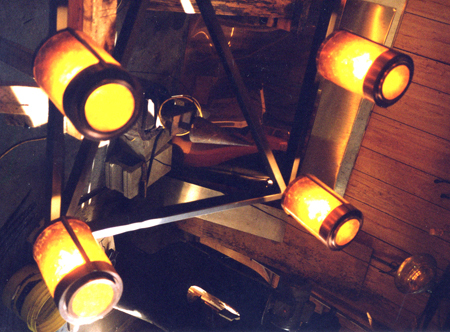 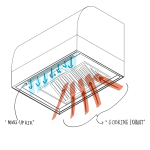 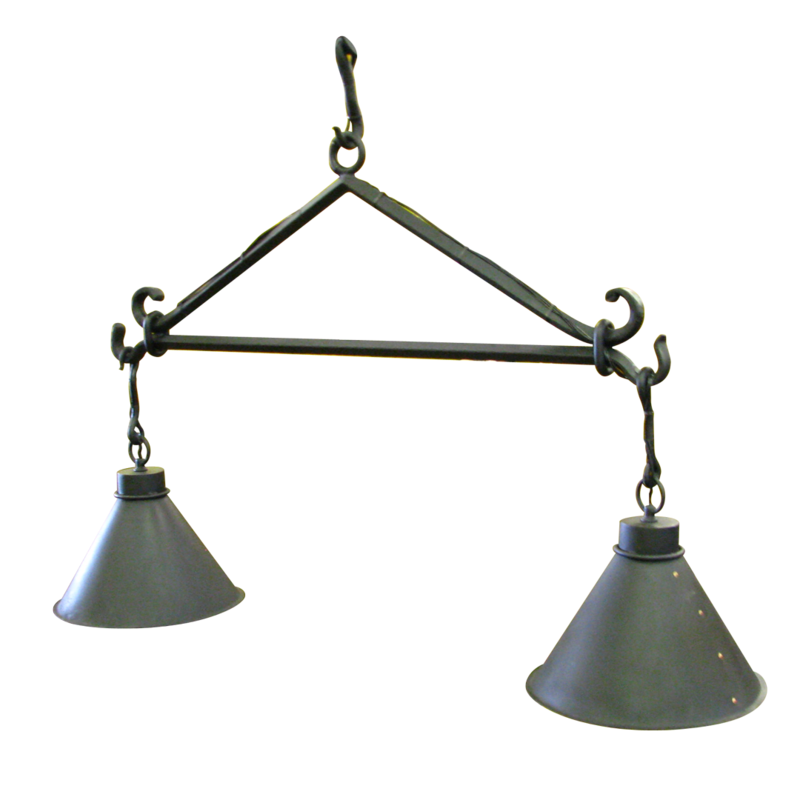 Chandelier 26 is made of steel with a natural wax finish. 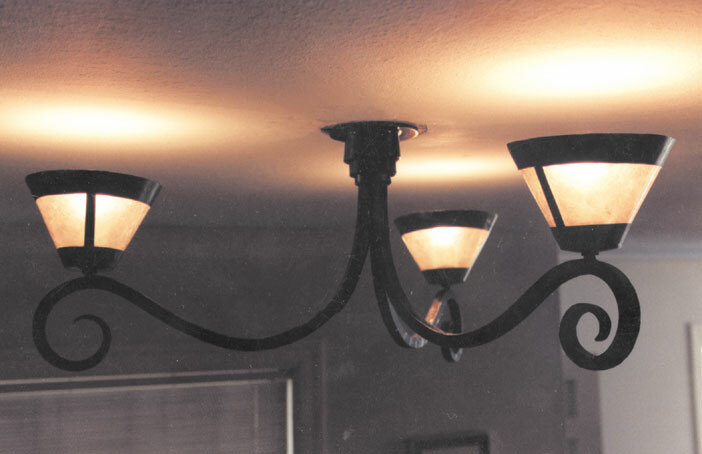 With nineteen 35W G-30 bulbs, this exposed wiring light fixture adds a touch of rustic with a charm that is contemporary. 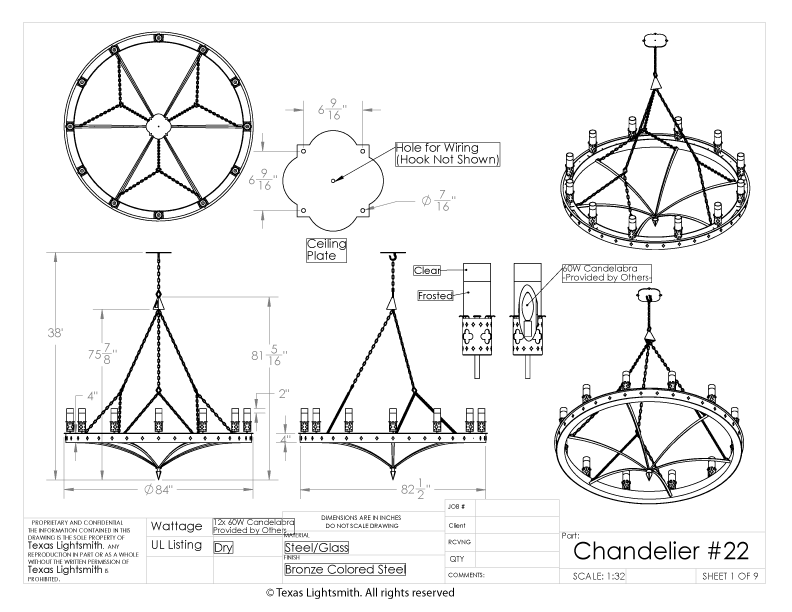 The ACWIC chandelier – with its simple curves, this three-spoke chandelier offers a graceful solution to your lighting needs. 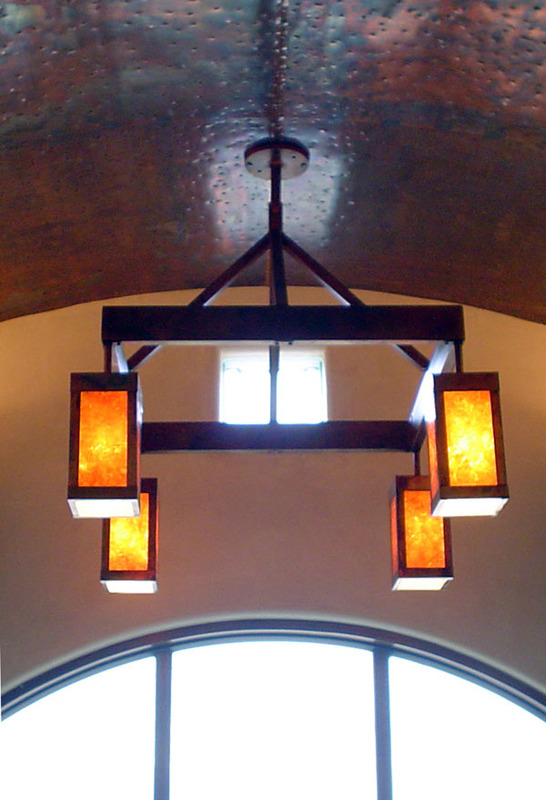 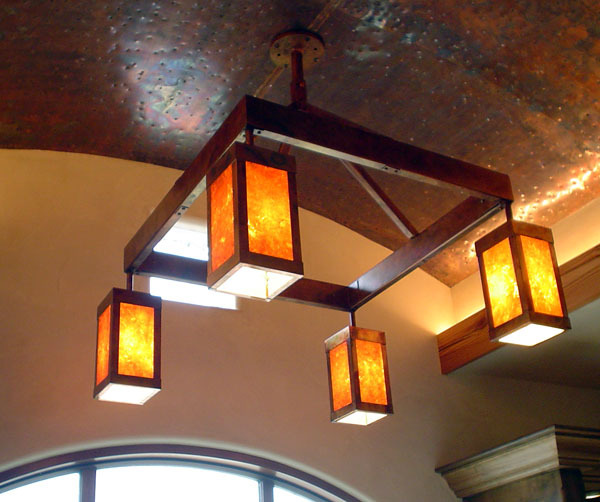 Made of blackened wrought iron and copper, and features amber mica diffusers for a warm ambient glow. 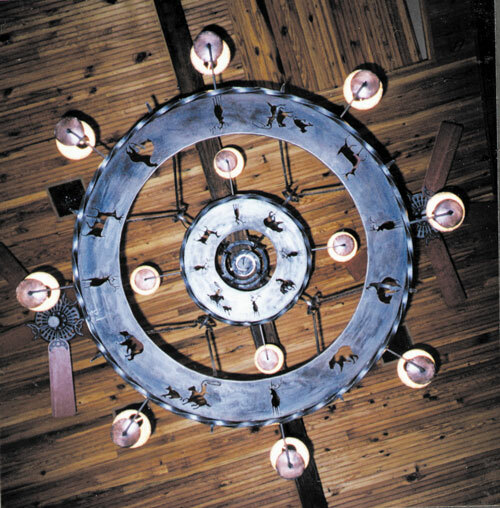 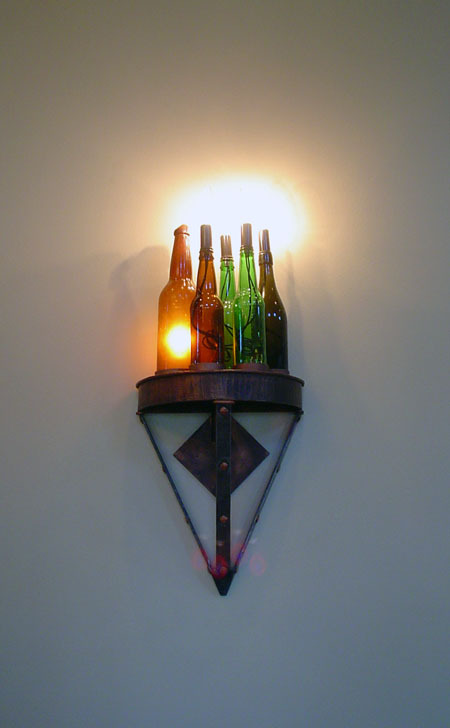 Adding a bit of rustic charm to your décor can be as simple as investing in a unique lighting structure. 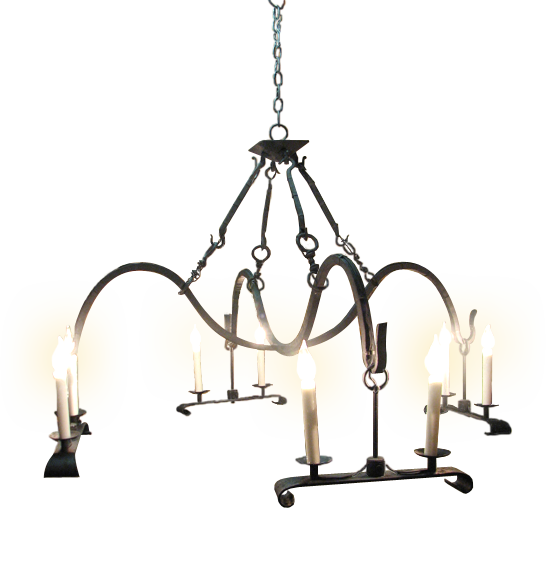 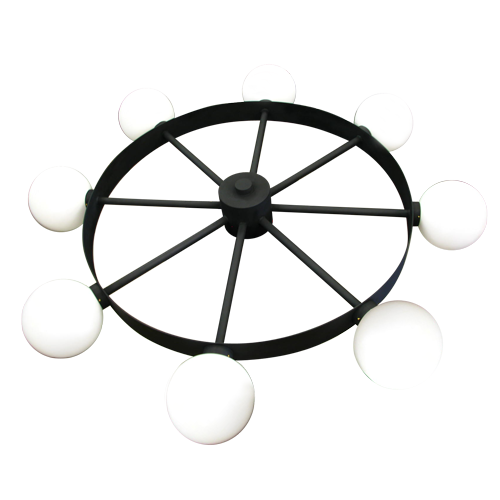 This two-tiered wrought iron chandelier is entirely handcrafted and features sheepskin shades. 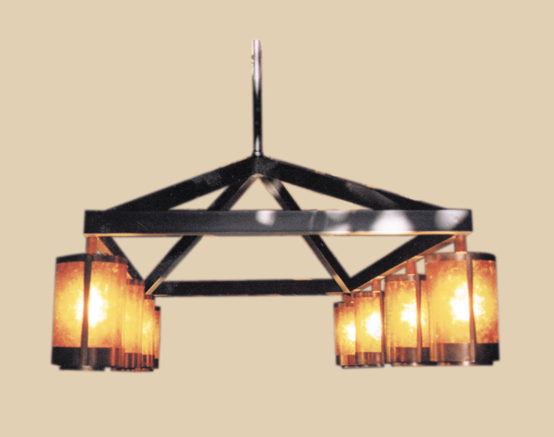 Description: Chandelier #20 is made in steel with a black matte finish. 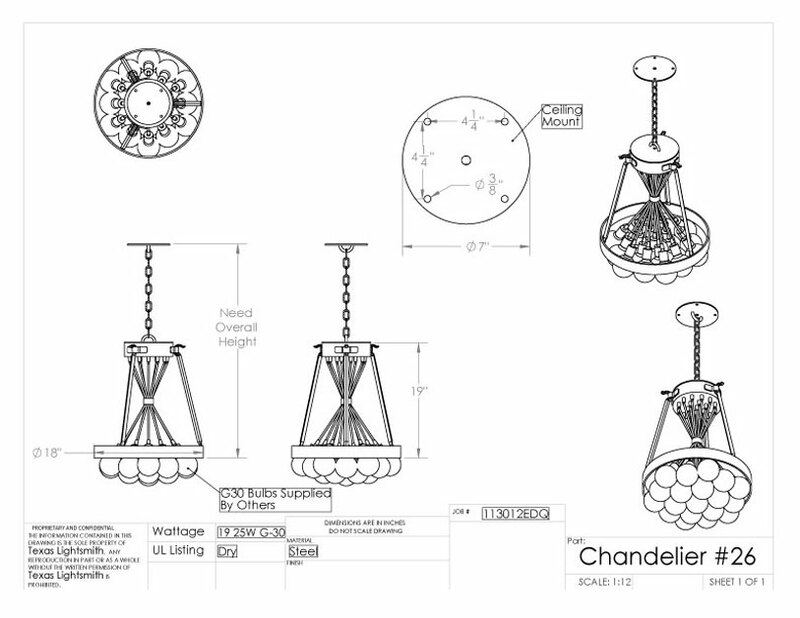 Intricate design and candelabra fittings. 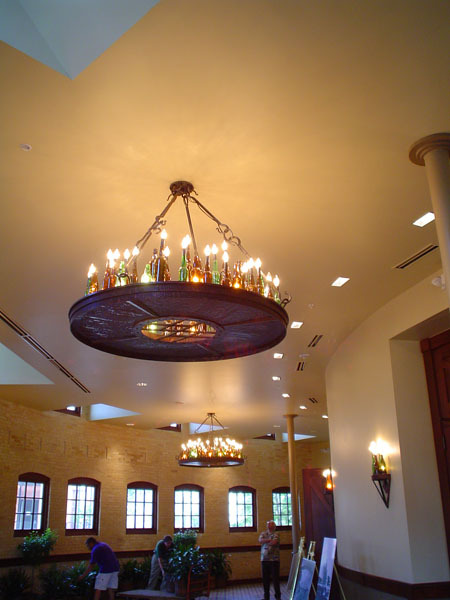 Chandelier #22, designed for the main entry hall of Our Lady of Lourdes in Houston TX is made of steel, wrought iron, copper and glass. 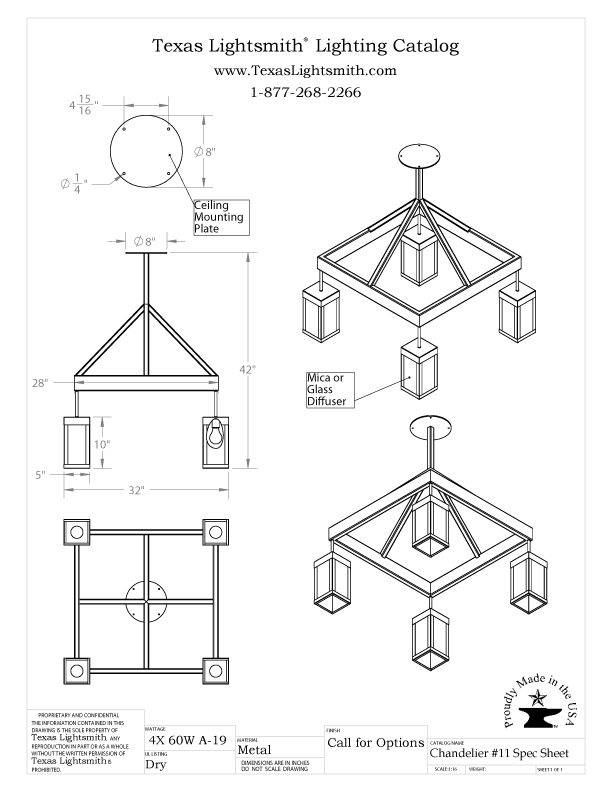 Structured elegance can be hard to come by. 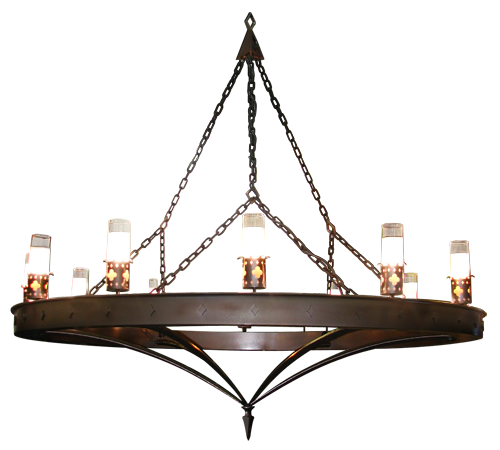 This museful fusion of steel, copper and mica brings a welcomed uniformity to the world of chandeliers.